What? There are benefits to procrastination? Most of us have been conditioned to believe that procrastination is bad. When you procrastinate and you put things off, it means that you’re lazy, you’re disorganized, or even unprofessional. But when you look from a different perspective, procrastination can actually be good. In fact, every one of us procrastinates, but the way you procrastinate make you effective, or not. That said, even the most successful people in the world procrastinate from time to time. They delayed making a decision or they choose to do something else rather than focusing on the work at hand. While it is true that procrastination can derail us if we let it be, this may not always be the case. We all have so many things to do in a day. And if you approach your day without carefully choosing what to do and what not to do, you will end up feeling stress and burnout. There are only so many things we can do in a day. Hence, there is no way you can tackle everything. This is why creatively procrastinating on the trivial things matter. It is always better to put your time and effort to do the vital things than to spend your day doing the unnecessary and less important tasks. This is why successful people started a company, they hire talents, and they build teams. They understand that there is only so much they can do. And they need to leverage on other people’s energy and time if they want to grow bigger. Thus, they procrastinate by delegating the less important tasks to others and so they can put their time and energy on things that are vital. Do you know that Bill Gates spent about 7 days a year at his hideaway cottage on a cedar forest waterfront just to ponder the future of technology and think of new ideas for his company and his vision? This “Think Week” allowed Gates to get away from distractions and creatively procrastinate on things that are less important so that he can focus on things that are more important – envisioning the future of Microsoft and strategizing his business. Thus, choose to procrastinate creatively. Sometimes, you need to take yourself away from the work in order to be able to see the bigger picture and come up with better solutions. Unless you’re a robot, there is no way you can work 24/7. But even robots need to stop for maintenance. Sometimes, procrastination can give you more energy and focus after putting off the task. It can happen to anyone in any industry. Sometimes you are so stressed up that you find it extremely difficult to focus on a task at hand. However, after spending your time procrastinating, you come back with a sharper mind to tackle the work. Like writing articles. Sometimes I will feel stuck and find it difficult to get the words going. But after spending time on other things, I find that my ideas flow better and it becomes easier to write. Maybe you’re tired and you needed a power nap. Maybe you’re stressed and you needed a walk in the park. Or maybe you’ve too many things in your head making you difficult to focus and you need to procrastinate and come back later. Whatever your case, procrastination can sometimes be a good solution when you need more energy or when you find it hard to focus. Is it true that procrastination can make you more productive? Well, it depends on your personality and how well you can handle the stress. Sometimes, waiting until the last minute to do a task helps keep you focused better on it because you are rushing to meet a deadline. 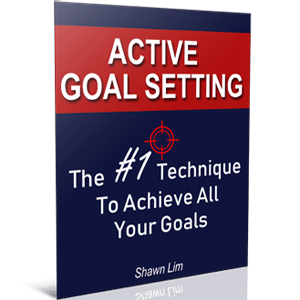 Like how goal setting works. You give yourself a deadline to hit the goal. A goal without a deadline is not a goal, but a wish, right? Hence, putting a deadline allows you to work on the project better. And when the deadline is near, and if you are seriously committed to getting the project done, you will do whatever it takes to complete the project. For instance, you may cancel all other unnecessary appointments, you may switch off your phone, not to check email, and not to do other things except getting the work done. Yes, the stress level can increase, but that’s exactly what it means to have a deadline in the first place, isn’t it? Your deadline is there to serve a purpose. And the procrastination you have had in the beginning actually forces you to be even more committed to your goals. When you have to absolutely get the work done, you will do whatever it takes to complete the task. Have you ever want to buy something, but you procrastinate on making the call and decided to take a walk, and after that, you forget about buying the thing, which proves to be a wise decision? I bet this happens to every one of us. Sometimes, making a rush decision may prove to be fatal. Just like when you’re buying stocks or investing with impulse. When you’re in a hurry and your emotions get over you, you make the wrong move and it causes you not just your hard earned money, but also regret. This is why procrastination is important too. Whenever you’re in a hurry or you have no idea about the subject, it is better to procrastinate and walk away before you commit. Procrastinate and use the time to read, study, and do research before you make the decision. When you procrastinate, you get more ideas. Great ideas need time to incubate. And procrastination gives you the time. Better alternatives may come up along the way. You have more time to talk and discuss the ideas before you make the decision too early. Therefore, when you’re in doubt, take your time off and procrastinate. This is especially true when it comes to doing things that can affect a big part of your life. 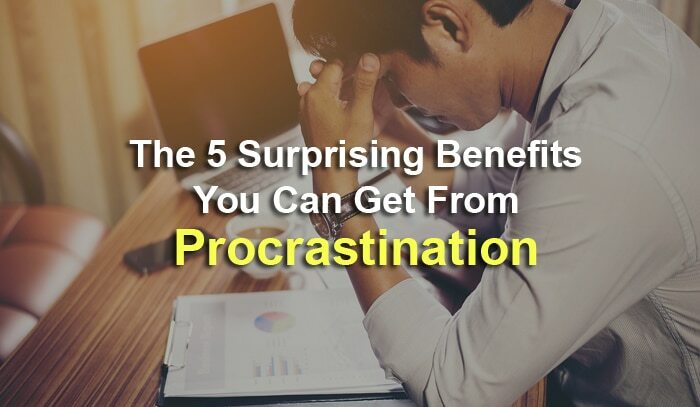 “Procrastinating – whether it’s watching a silly YouTube video, lingering by the water cooler or pushing off a difficult task and doing an easy one – is a time-out for your brain. A relaxed brain more easily connects disparate ideas in new, creative ways,” wrote this article on Forbes. When you have a big task to complete, it is natural for you to want to procrastinate because it is daunting. And when you put it off, procrastinating, what actually happens is that your subconscious mind is still processing the work and collecting ideas for the project. This is why after procrastination, sometimes you feel fresh and able to work on the task better. In other words, procrastination makes you think better. It makes you more creative. For example, when you want to write an article but you find it difficult to come up ideas, put it off and take a walk. After that, come back to the article again. You will find that ideas flow easier and you can write better. Like how Archimedes discovered the Law of Buoyancy during his bath. He was stuck with the problem for days. But the idea of water displacement came to him when he was taking a bath – when he completely took his mind of the problem. When you find it hard to concentrate and focus, take a little time off. Procrastinate and come back later so that you will have a fresher mind. Like, if you’re writing a resume, an article, or if you’re a student writing an application letter to university, and you’re facing tough times coming up with ideas, take a short break. Who knows, ideas may struck you out of nowhere and you will discover your “aha” moment randomly. Perhaps, your friend can give you some good suggestion in writing a great resume. Or perhaps as you do your research on Google, you discovered a personal statement writing service and you can get some good ideas from there. When you procrastinate, you take your mind off the task and focus on other things. This is when the Eureka moment can come to you. Fresh and new ideas/solutions usually come to you when you’re doing something totally unrelated to the problem. And this is how procrastination can help in making you more creative and think better. Procrastination is not all bad. There are benefits to it. And to make the most out of your daily life, you have to look at procrastination as something that is helpful rather than something that is harmful. Whenever you’re tired and find it hard to focus on your work, procrastinate and distract yourself for a while. And come back to your work again later. Transform procrastination into something that helps you get what you want and not something that takes you away from it.